Register your Drgeek data shield protection plan here! TIPS: *Get your device brand and model ready! It takes less than 2 minutes to fill in the form! Invalid email will render the registration void. Please use serial no checking tips on the right to get your serial number. Accepted file types: pdf, gif, jpg, jpeg, png, . Attach a FULL image of your invoice! 1. Click here to download Lenovo Service Bridge directly. Or go to https://pcsupport.lenovo.com, click on “Detect my Serial Number” to view the introduction, terms and condition and the download option for Lenovo Service Bridge. 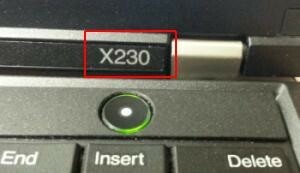 The Product Name is located on lower-right hand side of the bezel, a LenovoStorage S3200 is provided as an example. When contacting Lenovo Support, it will be necessary to have the Lenovo Machine Type and Model (MTM) and Serial Number (SN) of the LenovoStorage enclosure(s) available. The MTM and SN are located on the left-front corner and the rear of the enclosure’s top cover. The Lenovo SN in the example is intentionally blurred. The Lenovo MTM and SN for each enclosure (S2200 and S3200) can also be retrieved through the Command Line Interface using the “show frus” command. The output of the “show frus” command will provide a list of all FRUs within the S2200 or S3200 controller and any attached E1012 or E1024 expansion enclosures. 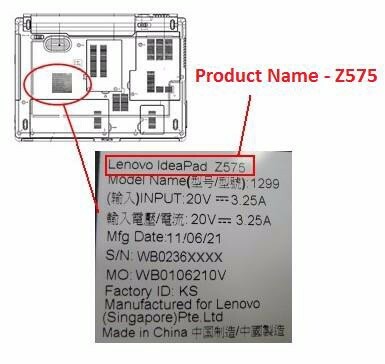 The Lenovo MTM and SN will be provided under the “SKU” heading for each enclosure. The text below is from a Lenovo Storage S3200 with a single E1024, the list of FRUs has been truncated to provide an abbreviated list of “SKU” entries for each enclosure. 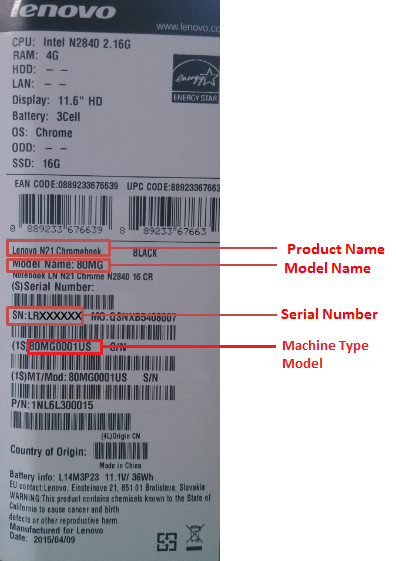 Using the output above, the Lenovo MTM and SN will be represented by the SKU “Part Number” and “Serial Number” fields. The Lenovo MTM is also collected for viewing within the Diagnostic Logs that are generated when performing either a “get logs” function through FTP or through the Web Interface’s “save logs” function. 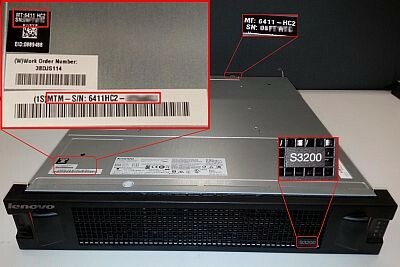 The Lenovo MTM and SN for each enclosure can be found within the logs by searching for “SKU” and or “TLA Part Number”.